All week, for mysterious reasons, a road crew has been staging equipment on our street. It appears, goes away, and reappears. 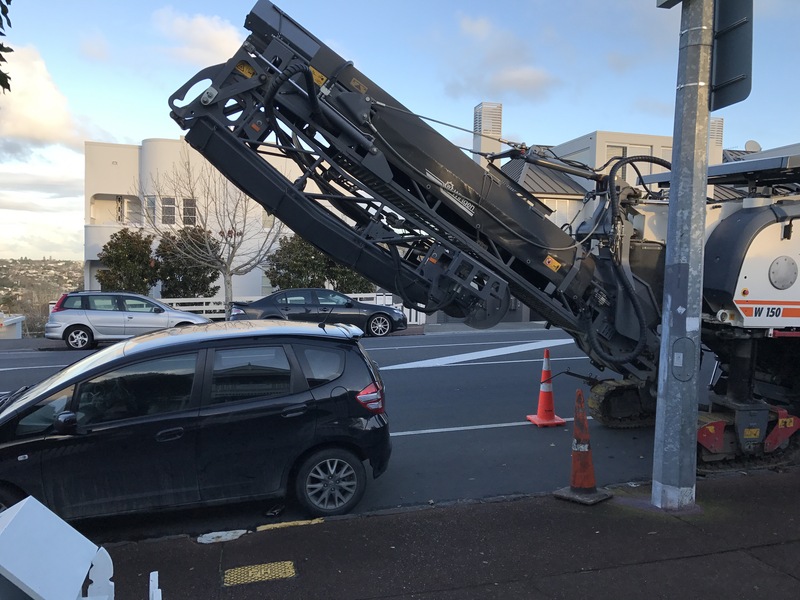 Parking is at a premium around here, and this enterprising driver decided that the guy who parked the trencher set the brakes correctly. Of course he did, and everything turned out fine. But I’m not sure I would have parked there.